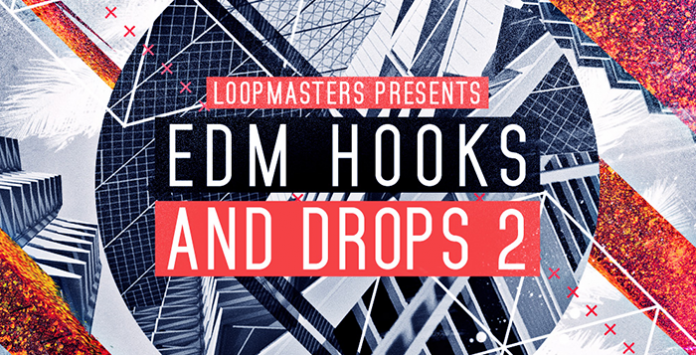 Dan Larsson is back with a brand new volume of the highly successful EDM Hooks & Drops featuring 10 Royalty Free EDM build up and drop kits loaded with inspiring hooks, powerful drums and huge layered synths and SFX for dance producers worldwide. EDM Hooks & Drops Vol.2 tips the scales at 1.6GB and contains all you need to build EDM drops of epic proportion including catchy melodic riffs, multi layered synths, powerful side chained drop synths, full build-up kits with loop stems of each element for maximum flexibility both in 8 and 16 bars versions and bonus Drum Loops which also feature separate stem loops of kick, tops and percussion adding to the flexibility. Producers should also expect to find multi sampled instruments for creating your own Big Room drops and hooks, crisp punchy drum shots and all the MIDI data for the Hooks and Drop Kits allowing you to fully customize the sound and melody. If you are looking for a flexible up to date EDM sample collection and follow artist and labels such as Martin Garrix, Dimitri Vegas, Ummet Oczan, W&W, Calvin Harris and Spinnin Records, DIM MAK, Ultra, Toolroom records, then check out the demo track, download the free demo samples and get ready to sample EDM Hooks and Drops Vol.2 TODAY!